Mt. Siguniang(The Four Girls Mountain) is reputed as the Oriental Alps, and is famous for its grandness, straightness and forcefulness. There are three valleys: Shuangqiao( Double Bridge) Valley, Changping( Long Flats) Valley and Haizi Valley. Every valley has its own characteristics, it is definitely worth your visiting. Danba is an ancient village quite unknown. For thousands of years the ancient village has maintained its ethnic characteristics and traditional architectural style. 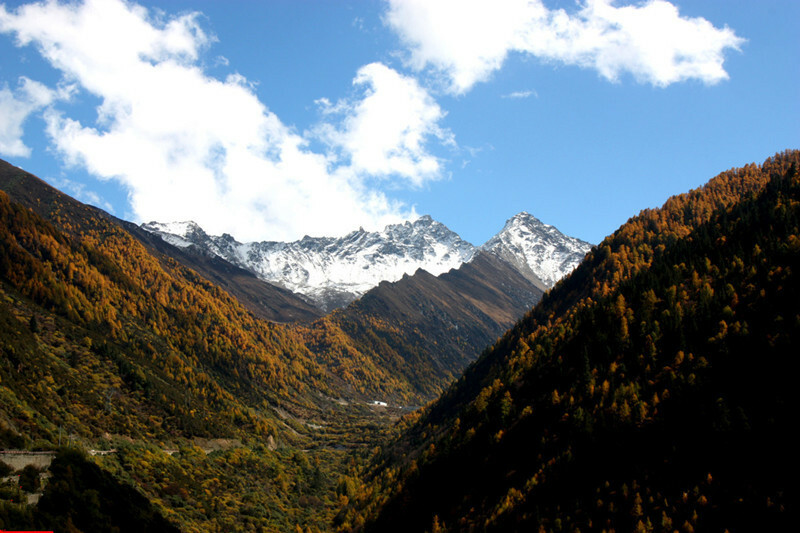 Visit Shuangqiao valley and Changping valley to view the magnificent mountain landscape. Visit beautiful Tibetan villages and experience Tibetan culture in Danba. A full day sightseeing at Hailuogou Glacier Park. 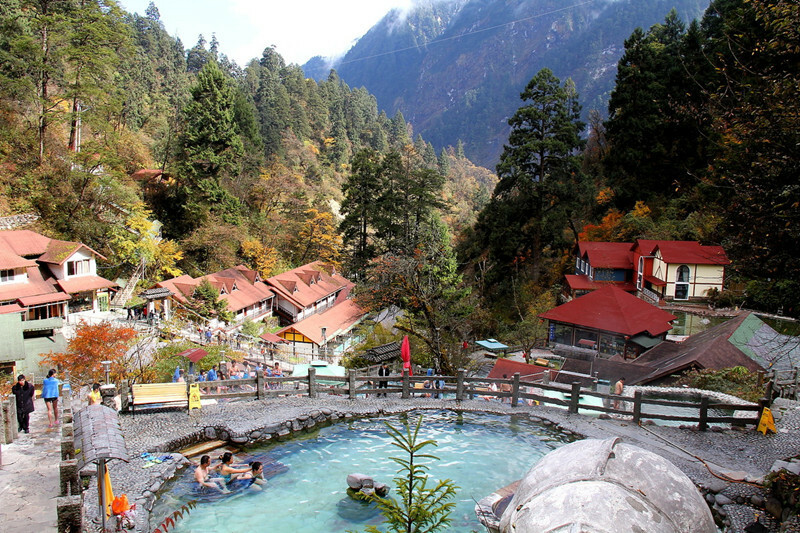 Enjoy natural hot spring which is known for its beautiful natural scenery. Set up in the early morning, pass through Dujiangyan, Xinxiu. about 4 hours’ driving. After arrival, we have a free time to acclimate the high altitude. Then visit one valley of Mt. Siguniang scenic – Shuangqiao valley. In this gully, you can view more than 10 snow mountains over 4,000m high, all the peaks, trees, grasslands, streams, and water drops are completely bared in their natural being, untouched and unspoiled by man. Morning drive to Changping Valley, where Mt. Siguniang lies inside this valley. And only part of its roads are open to traffic, so you need walk or ride horse to explore it. The valley mainly consists of forests, valleys, and snowy mountains towering over valleys. Morning, we will head to Danba county, another beautiful tibetan county that features its tibetan villages and thousand years old watchtower(Diaolou) groups. After arrival, we will spend the whole rest of day to visit Jiaju Tibetan village. Morning, we will overlook the suopo watchtower. Then take 4 hours driving time to Hailuogou. We will take a hot spring tonight to enjoy this leisure time. Today we will have almost full day sightseeing at Glacier Park. You can take a walk (2 hours) through forest to the view platform, or you can take a cable car to No.4 Camp. 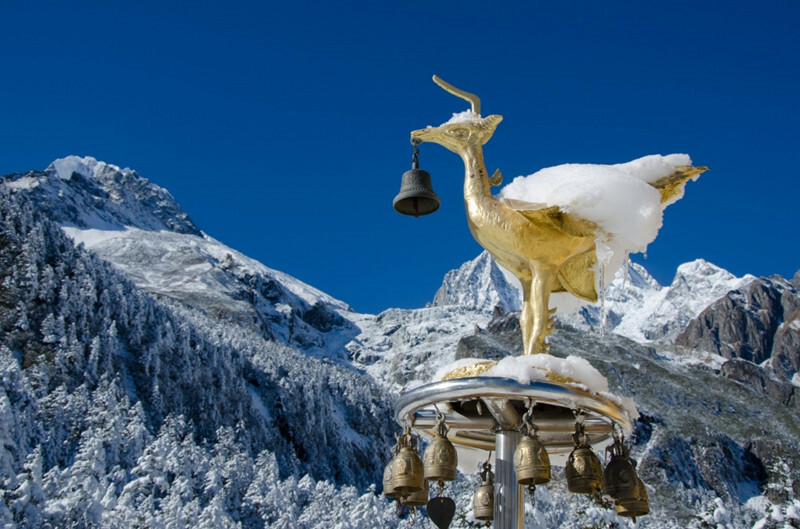 Enjoy the splendid sights of glaciers, ice mushrooms, ice pagoda forest, ice waterfalls, ect. In the late afternoon drive to No.2 Camp to have the natural hot-spring. Then go back to Moxi town for overnight. After breakfast, drive back to Chengdu. Tour ends.